This composition for Piano, Vocal & Guitar (Right-Hand Melody) includes 4 page(s). 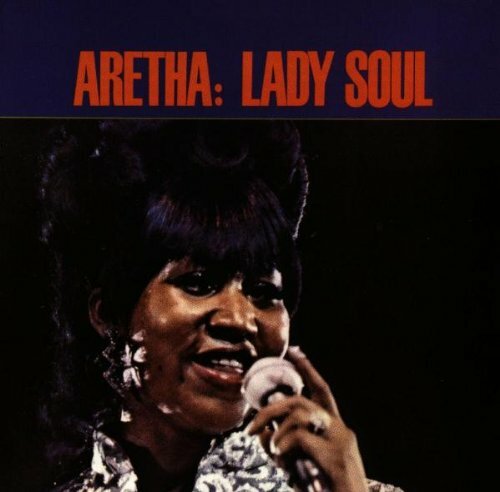 It is performed by Aretha Franklin. The style of the score is 'Pop'. Catalog SKU number of the notation is 18296. 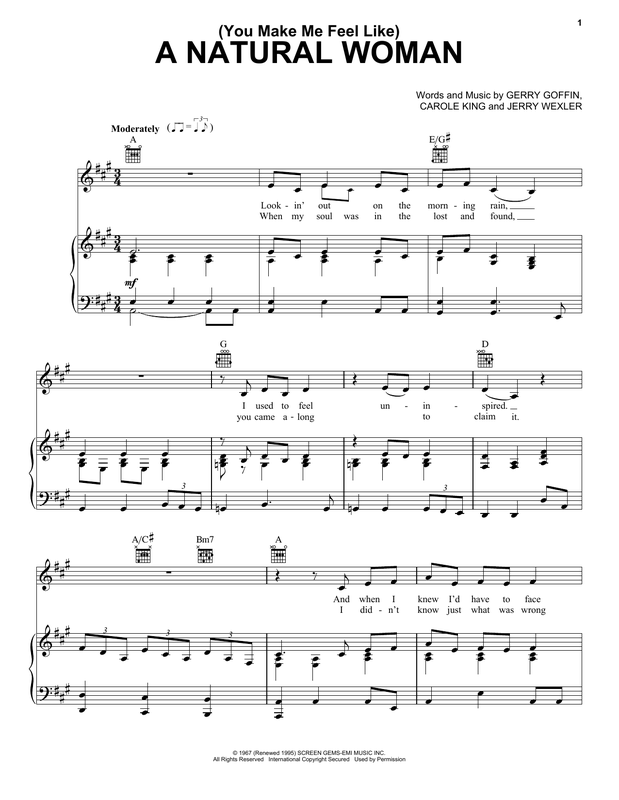 This score was originally published in the key of A. Authors/composers of this song: Words and Music by GERRY GOFFIN, CAROLE KING and JERRY WEXLER. This score was first released on Thursday 1st January, 1970 and was last updated on Thursday 1st January, 1970. The arrangement code for the composition is . Minimum required purchase quantity for these notes is 1. Please check if transposition is possible before your complete your purchase. * Where transpose of '(You Make Me Feel Like) A Natural Woman' available (not all our notes can be transposed) & prior to print.